Mr. Dunston: [walks up on the porch towards Sam] Well, I'm surprised to see that you're still here. Sam Gillen: No, you're not. Mr. Dunston: Yes, I am. Sam Gillen: [walks closer to Mr. Dunston] If I see you near her or the children, I'll kill you. Mr. Dunston: [walks up closer] Look. You seem like a smart fellow. The woman isn't worth it. And I'll tell you, when push comes to shove you're not going to be dealing with some little tin-badge local sheriff guy. You're going to be dealing with me. Okay? Sam Gillen: I look forward to it. Reactions to this movie seem to depend on one's appetite for action. Those hungry for it are disappointed while those looking instead for plot and character development are pleased. 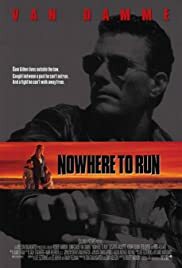 I tend to fall into the latter category but must point out that while "Nowhere to Run" ranks among the better Van Dammes, it relies too much on stock situations, (plucky woman defending homestead), and cliche characters, (corrupt business tycoon with oily smile). I'd also like to point out the good work of Edward Blatchford as the local Deputy Sheriff. It's a thankless part but he manages to make something of it, and no, I didn't read any dark psychological meaning into the scene in which he discovers Van Damme taking a shower. 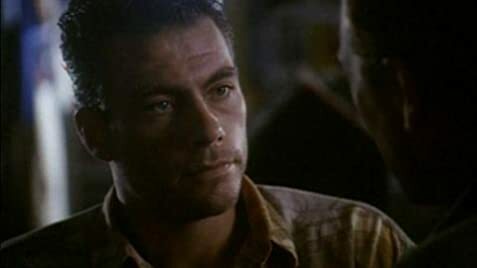 However, I did find utterly bizarre that moment at the dinner table when Patricia Arquette's little girl casually comments on the impressive size of a certain portion of Van Damme's anatomy. This was promptly followed by Arquette's comment that it was only average in size. Talk about weird!